The second edition of the Science to Business (S2B) Concept Challenge is open and ready to receive new ideas and projects. 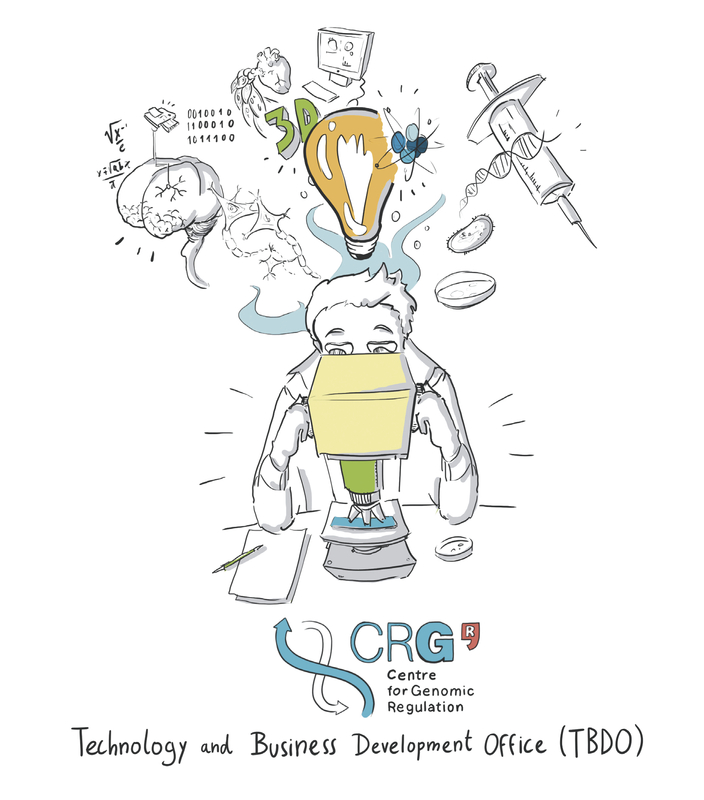 It is a TBDO initiative that celebrates the spirit of innovation and entrepreneurship among CRG researchers, with a view to pursuing commercialization of a technology that originated in CRG research. The challenge aims to address critical healthcare and market needs, while stimulating CRG entrepreneurs to create innovative strategies to address them. Edition 2016 welcomes any innovative ideas, with a particular attention to projects falling under the following 3 research areas: Synthetic Biology, Diagnostics and Therapeutics (e.g. Precision Medicine, Microbiomics), and Software. The program aligns resources available through CRG's entrepreneurial ecosystem to maximize the opportunity to launch a successful commercial venture, thus increasing the impact of CRG's research-derived innovations. The TBDO team is available for any assistance that applicants may require as they are progressing through their proof of concept plans and developing their business strategies. “It is our hope that this program will further foster the CRG entrepreneurial spirit and will help translating innovative scientific knowledge into benefits for health and value for society,” states Pablo Cironi, head of the Technology and Business Development Office at the CRG. The 1st and 2nd winning teams are awarded an entrepreneurial package valued up to 25,000 Euros and 15,000 euros, respectively. The entrepreneurial package funds are aimed to cover proof of concept experiments and/or additional expenses that will be required to kick start and progress with the project. Please, find more information on the S2B Concept Challenge call here, or download the flyer to learn more about the challenge here.